Tailwaters are best defined as those rivers that flow from beneath manmade impoundments. Tailwaters provide anglers with a four-season fishery that affords anglers with consistent flows, clear water, large populations of trout, and dependable hatches. 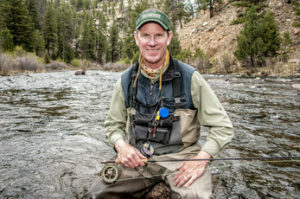 Dorsey addresses the tactics and techniques (fishing dries, nymphs, and streamers) to successfully fish these year-round waters as well as a discussion on dams and their releases, benefits of a tailwater, matching the hatch, fly selection, reading the water, and much more.